Hearing and generally human perception are easily influenced and that almighty brain of ours – as we perceive it – can make mistakes and can definitively be fooled. And it is this subjectivity and fallibility of perception that Simon McBurney uses to transport us from our cushy seats at the Barbican to the pyretic Amazon rain-forest. 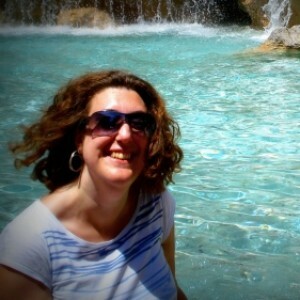 The Encounter is inspired by the book Amazon Beaming by Petru Popescu. It tells the story of Loren McIntyre, a National Geographic photographer, found himself lost among the Mayoruna people of the remote Javari Valley in Brazil. 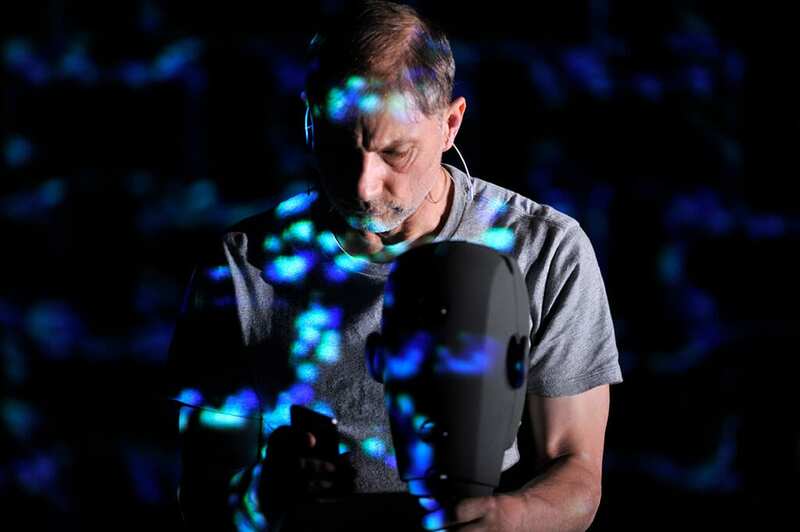 Simon McBurney was given the book as a gift and 20 years later, by his own admission, it has taken him on an exceptional journey that culminated in this immersive and unique performance. With his voice altered, to resemble a low American rumble, McBurney guides us through the Amazonian journey of McIntyre. A disconcerting tale of fear, intrigue, loss, tribe rituals, telepathy, hallucinogenic cucumbers and panthers. The threatened Mayoruna want to escape to ‘the beginning’, a place out of time and McIntyre is their accidental witness and potential ally; McIntyre refuses the chance to escape from what he calls “my beautiful prison” and talks of the way we live inside the “limits” of our civilization. 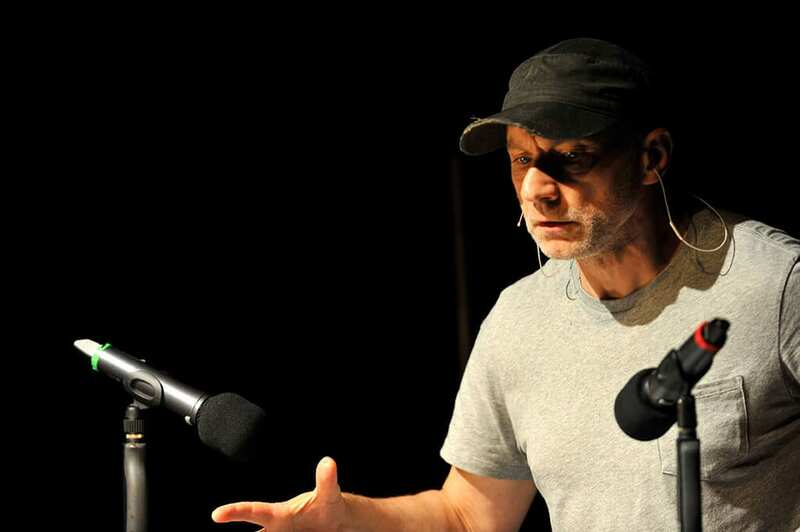 Amiably chatting with us Simon McBurney, sets the rules of contact, demonstrates the abilities of the head-shaped binaural microphone, which records sound that uses two microphones, arranged with the intent to create a 3-D stereo sound sensation, puts us at ease and familiarises us with the idea of having the headphones on for the duration of the performance. From a technical point of view it is an astonishing feat. It is a mixture of live and recorded sound, parallel and intersecting auditory timelines and a marvel of synchronisation; the pinnacle of McBurney’s and his teams’ hard work and creative ability. It is also a technological dichotomy since some of the sounds are generated with simple props such as sipping from or shaking a bottle of water or trampling on a mass of recording tape, while most of the performance relays on cutting edge technology. Shut your eyes and get the full treat of Gareth Fry’s and Pete Malkin’s ingenuity in sound design; get immersed in the cacophony of the rainforest, McIntyre’s inner thoughts or the innocent interruptions of McBurney’s six-year-old daughter to her dad’s creative process. 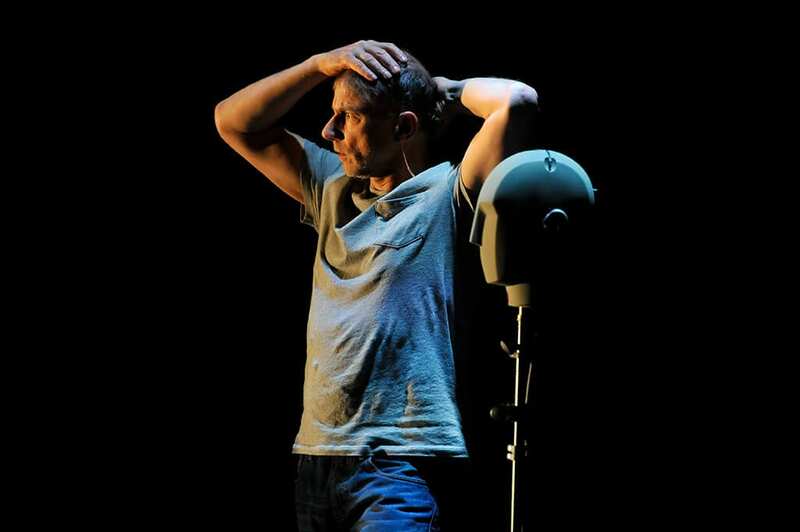 Keep your eyes open and on top of all that you get treated with the passionate and intense performance of McBurney. The Encounter also raises issues about the nature of time, how we perceive it in our everyday life; how scientists theorise about it -interspersed with comments about time, language and perception from interviews with Marcus du Sautoy and Steven Rose; and how the Mayoruna sense it. It also touches on issues of self-determination and identity and the significance and conscious and unconscious consequences of the acculturation of Amazonian tribes. Whether you endorse the notion of Paleolithic tribes and mind-altering drugs holding metaphysical keys to our existence or you see it – like I did – as a gripping adventure with ethical and environmental extensions, The Encounter is a gripping, spinning transformative experience, that demands and ultimately rewards your full attention; an experience that leaves you pondering on the strength and weaknesses of modern life and with a nagging feeling that our rampant civilization obliterates wisdom and science we have yet to discover and comprehend.